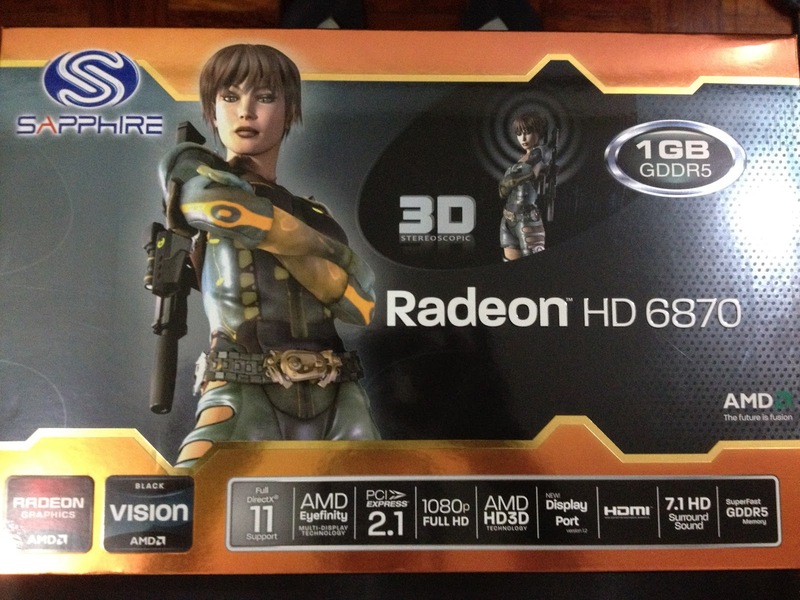 The card I have selected was initially the PowerColor HD 6870, but due to the seemingly unending availability issues I've been encountering during this build, I went for the Sapphire HD 6870 instead, which is about 20 bucks (PhP) more expensive than its PowerColor variant. I was able to stick with my card of choice though, which is a good thing despite switching brands. And as always, I did my research before making the switch, I've read a lot of good things about Sapphire, but of course, I don't take it all on reading, watch some test videos and finally, I'll see for myself once the build is complete. I paid a visit to Gilmore IT Center once again (mentioned in Part 2: http://tomhuang03.blogspot.com/2012/06/getting-my-nerd-on-part-2.html), took my ever supportive girlfriend with me and headed straight for a shop called PCHub (I headed straight for this shop because I did my canvassing and availability checks prior to the visit (very useful tip when building your own rig, saves you a lot of trouble.) Dealing with the people in this shop is a very pleasant experience, they are very accommodating and the way they relate to customers is very professional and friendly. One thing I liked too is that after you make your purchase, you are offered to test what you just bought, an option that I took to assure that the video card I bought is working, which thankfully it is. Having purchased this part, this puts me at about 60% completion based on my checklist. The only items left are the following: RAM Sticks, Internal Hard Drive and a chassis. Just wanted to update everybody on the progress of my build! 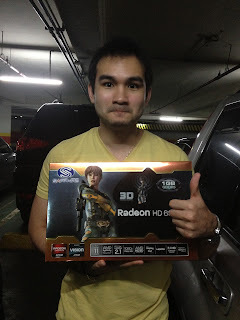 Thank you PCHub for the awesome service and for the video card! Stay tuned for the next part of the Getting My Nerd On series as I continue my quest for the completion of my rig!